A surprise shoutout from President Donald Trump’s conservative Supreme Court nominee to one of the high court’s liberal justices proved to be a rare note of civility amid the partisan rancor from the left surrounding the pick. If the Senate confirms D.C. Circuit Judge Brett Kavanaugh for the court, he already will be on familiar footing with Justice Elena Kagan. As the nation learned Monday night during Kavanaugh’s brief remarks after Trump introduced him at the White House, Kagan and Kavanaugh have a connection. Trump’s second Supreme Court nominee noted that he has taught law to hundreds of students for the past 11 years, primarily at Harvard Law School. “I teach that the Constitution’s separation of powers protects individual liberty, and I remain grateful to the dean who hired me, Justice Elena Kagan,” Kavanaugh said, prompting an audible gasp or two in the East Room, according to one account. It turns out that Kagan, during her stint as dean of Harvard Law School from 2003 to 2009, made it part of her mission to seek out and hire more conservative faculty at the overwhelmingly liberal school. “She definitely made an effort to reach out to the conservative community, and made several conservative hires while she was there,” said Carrie Severino, chief counsel and policy director at the Judicial Crisis Network. Severino, whose group advocates that judges interpret laws as they were written, was a law student at the school while Kagan was dean. Kagan’s hiring of Kavanaugh, she said, says something about the latest Supreme Court nominee as well. Those traits make Kavanaugh “a very attractive nominee because he is so universally respected on the federal bench,” she said. Among other conservatives Kagan hired as professors: Jack Goldsmith, a key Bush administration lawyer during the early years of the war on terror, and John F. Manning, a former Justice Department lawyer who is now dean of the law school. It isn’t clear to what extent Kagan personally was involved in recruiting, interviewing, and hiring Kavanaugh, a graduate of Yale Law School, to teach at Harvard. She likely would have known of Kavanaugh, at least, since he had been on the D.C. Circuit a couple of years following a lengthy and contentious confirmation process in which Senate Democrats delayed voting on President George W. Bush’s nominee for about three years. Once Kavanaugh began teaching at Harvard in 2008, and the professor and his classes proved popular, he likely would have had the opportunity to interact with Kagan on occasion, at least during faculty functions. Whether they became friendly and stayed in touch, however, remains to be documented. The Boston Globe reported on Kavanaugh’s Harvard years without shedding light on his relationship with Kagan. Charles Fried, faculty sponsor of Harvard’s Federalist Society chapter, said in a phone interview Wednesday that he doesn’t know details about the original Kagan-Kavanaugh connection, or how it may have developed in the following years. But, he said, the Federalist Society, which supports Kavanaugh’s nomination, recognized and appreciated Kagan’s efforts to bring some philosophical diversity to the law school. She was greeted warmly at a Federalist Society banquet held at Harvard during the conservative, constitutionalist law group’s annual symposium in 2005, recalled Fried, who has taught there since 1961. “I love the Federalist Society,” Kagan said in her welcoming remarks at the banquet, “but you are not my people.” Some accounts say she repeated the first part before delivering the punchline. Kagan, a Harvard Law School graduate, was dean of the school from July 1, 2003, to March 19, 2009. She hired Kavanaugh in 2008. President Barack Obama named Kagan to the Supreme Court upon Justice John Paul Stevens’ retirement. Although she had no prior experience as a judge, Kagan had served as solicitor general for little more than a year after Obama appointed her to that Justice Department post. Kavanaugh, 53, and Kagan, 58, share circumstances beyond Harvard in their respective nominations to the Supreme Court. One is the timing. The Senate confirmed Obama’s choice of Kagan in the run-up to a midterm election, in August 2010. But Democrats now say a confirmation vote on Kavanaugh should have to wait until after the midterm election in November. Also, although Kagan is a New Yorker and Kavanaugh has rarely strayed from the Washington metropolitan area, she clerked for an appeals judge on the D.C. Circuit, where Kavanaugh sits now, and briefly practiced at a D.C. law firm. And they both served in the White House with two-term presidents, Kagan with Bill Clinton (whom Kavanaugh played a role in investigating) and Kavanaugh with George W. Bush. As former executive branch officials, both left a trail of government emails that became subject to scrutiny in the confirmation process. That’s what happened to Kagan, and Democrats such as former Obama administration official Tommy Vietor already have insisted on seeing Kavanaugh’s White House email correspondence. The high court’s newest justice, Neil Gorsuch, had worked at the Justice Department, but with less of an email trail, as Bloomberg reported. The Senate confirmed Gorsuch 66 days after Trump nominated him; it took 87 days to confirm Kagan. Just before his nomination, CBS News’ Jan Crawford said court watchers see Kavanaugh as a “real intellectual force as a conservative legal thinker on the court,” a characteristic she said would make him a worthy counter to Kagan. 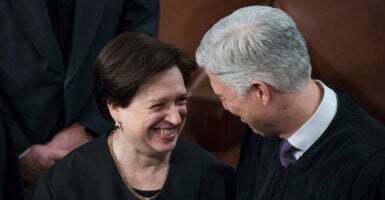 Fried and Severino agree it’s too soon to predict the kind of unlikely close friendship that the late Justice Antonin Scalia shared with liberal Justice Ruth Bader Ginsburg, but Kagan and Kavanaugh certainly have a leg up. 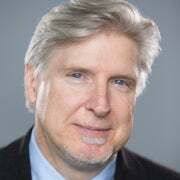 Kavanaugh already knows Gorsuch, a fellow conservative appeals court veteran, since both were law clerks for Justice Anthony Kennedy, who Kavanaugh will succeed if confirmed. That relationship, however, doesn’t bridge a wide ideological chasm. “My impression is, and it’s not built on nothing, is that there are warm relations [on the Supreme Court] between quite surprising people,” said Fried, himself solicitor general during President Ronald Reagan’s second term. Kavanaugh also has taught at Yale and Georgetown. Should he be confirmed, Kavanaugh would bring the total number of Yale grads on the court to four, joining Samuel Alito, Sonia Sotomayor, and Thomas. With Kennedy gone, the number of Harvard alums would drop to five: Breyer, Ginsburg (who finished at Columbia), Gorsuch, Kagan, and Roberts. Kavanaugh also would become the eighth Supreme Court justice ever to have worked previously as a law clerk for the high court—and the fifth on the current court after Roberts, Breyer, Kagan, and Gorsuch. Kavanaugh’s students at Harvard, including self-identified liberals, told The Boston Globe and other media outlets that both his approach and approachability made him a favorite professor. Goldsmith and Manning, fellow conservatives hired by Kagan at Harvard Law School, both released statements praising Kavanaugh after Trump announced his selection. Manning, a former law clerk to Scalia, congratulated Kavanaugh and thanked him for his “superb teaching” over the past decade. This report has been modified to clarify that Kavanaugh primarily has taught law at Harvard.